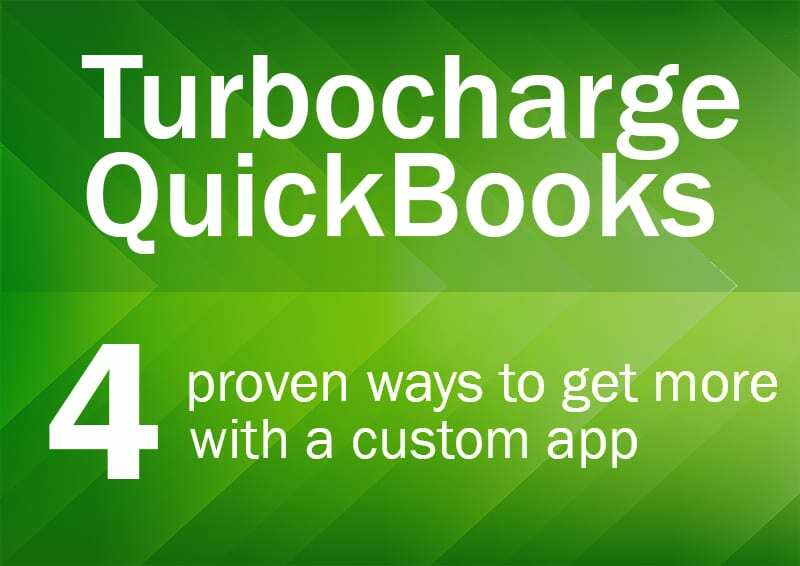 Turbocharge QuickBooks with Custom FileMaker App Integration —built specifically to manage the information that runs the rest of the business, from sales and service to marketing and manufacturing. Check out the FileMaker Inc. website for a free, downloadable e-book which outlines four proven ways to solve this common QuickBooks challenge that many businesses face. This is great resource, so download it now! Making an investment into a fully-integrated, custom-built FileMaker solution will boost productivity, reduce expenses, and put an end to data errors and duplicate data entry. Visit our success story page for real-world examples of how we at IT Solutions have helped our clients transform businesses like yours using FileMaker. If you'd like to discuss how we can help you get the most out of QuickBooks with a custom application like FileMaker, contact us today. QuickBooks is one of the most popular accounting software packages in the nation. It’s great at what it does, but if it’s not working with the systems that run the rest of your company, you could be left with productivity-draining tasks and inefficient processes. If you or your team currently spend a lot of time re-entering customer data from spreadsheets or separate systems into QuickBooks, there’s a better way. So what’s the key to getting the most out of QuickBooks? Integrating QuickBooks with a custom application such as FileMaker—built specifically to manage the information that runs the rest of the business, from sales and service to marketing and manufacturing.